Notoriously finicky to make, souffles are surprisingly unfussy about what you cook them in. 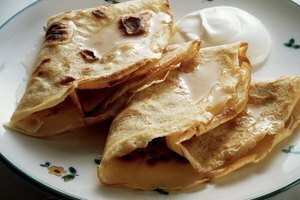 Individual ceramic ramekins, which have straight sides and bottoms, are the traditional dish in which to cook souffles, although some cooks make family-sized souffles. If you don't have ramekins, you can use almost any ceramic dish. Medium or short mugs and tea cups work well for individual servings of sweet or savory souffles. They can be greased, baked in the oven as long as the ceramic is heat-resistant, and they have the added advantage of having a handle to hold. You can use tall coffee mugs, but they require the souffle to rise much higher than usual to “peak” out of the cup. Creme brulee ramekins or cups are virtually the same as souffle dishes, just slightly shorter. 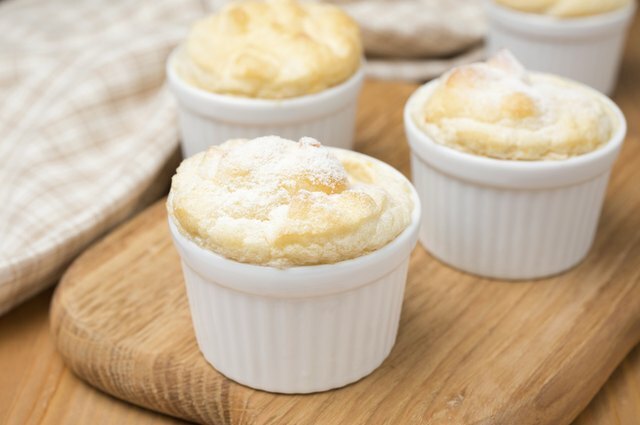 These work if you are making small appetizer souffles, as they hold much less volume than full-size individual souffle dishes. 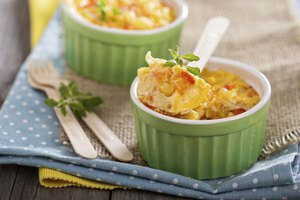 The cups can be prepared and used exactly the same way as souffle dishes, as long as they are heat-proof. The best replacement for a large souffle dish is a large ceramic casserole dish, either rectangular or circular. Virtually any ceramic dish that is heat-resistant with tall sides can be used. Circular casseroles are the best option. What is the Purpose of Double Handles on a Tea Cup?